I love, love, love this polish! It was an impulse purchase at the check-out and now I want them all! I thought it would be just another matte black, they kind of all look the same, but it’s actually quite special. 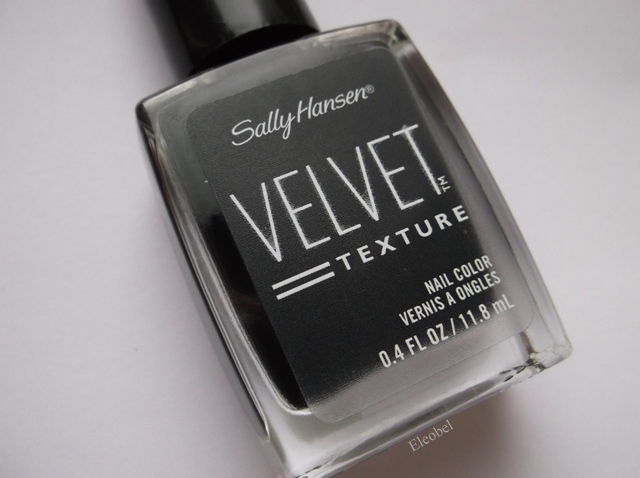 It’s a lovely mix of a subtle texture, matte and black! Mmmm…goth-y sophistication. Oh yay! 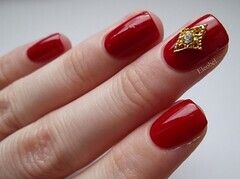 This looks so sophisticated! 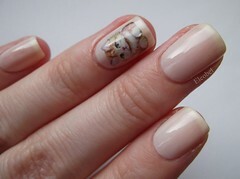 I saw those polishes on a stand at the pharmacy , before Christmas , but they looked very ordinary, so I didn’t buy them. Now I’m so jealous. 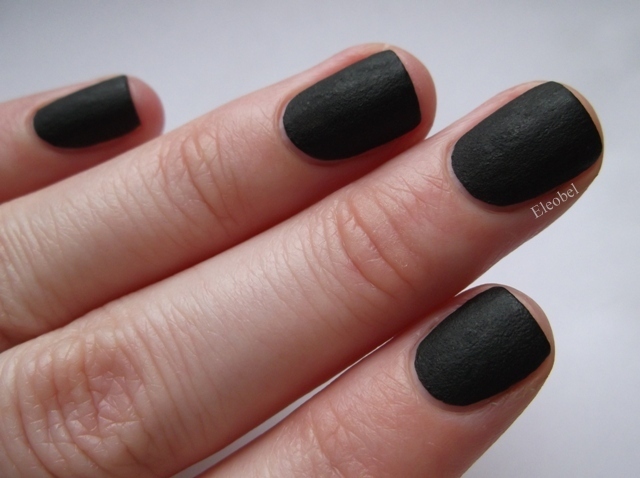 I want , no I have to have , that colour.its my favourite black of all time! Love it. Yay!